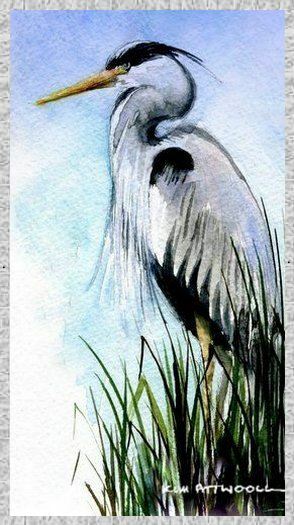 Bird greeting cards give us the opportunity to come up with different card making ideas, we are only limited by our own imagination. 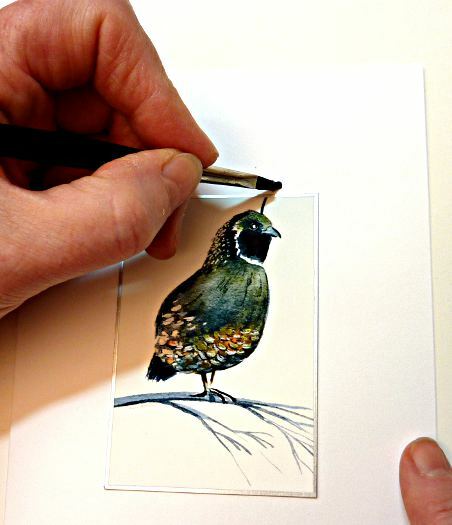 They are so much fun to paint and they always make an interesting greeting card. 1. 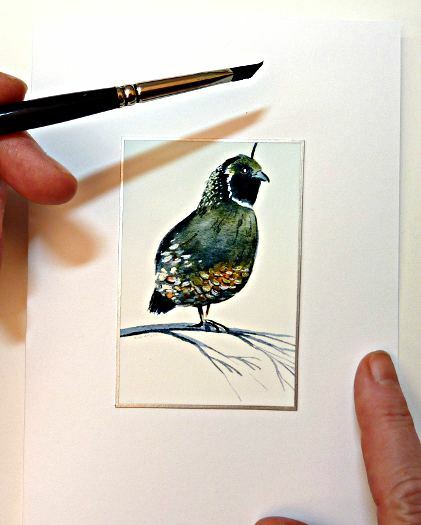 This watercolor of my friend's California quail, "Hope", is fun to embellish. I extend the painting beyond the rectangle in two places using watercolor and my favorite brush, the Loew Cornell Miracle Wedge. 2. 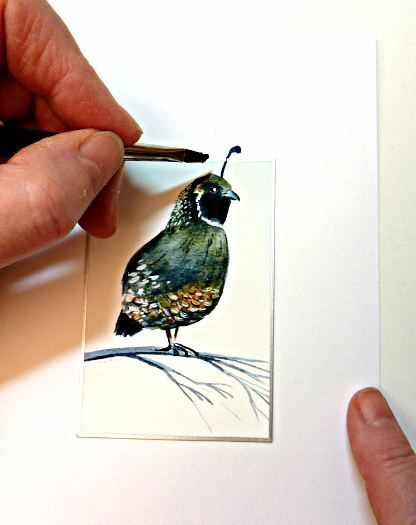 With indigo (a black blue)on the brush, I continue Hope's topknot with a ball of pigment that I connect to the feather in the painting. 3. 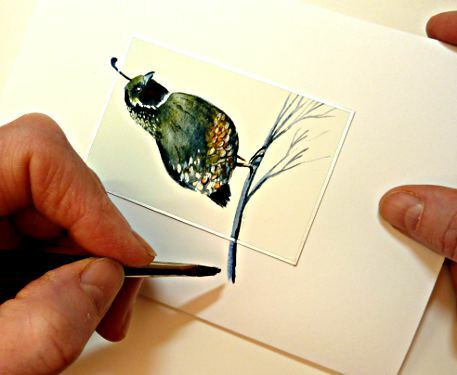 The next embellishment is to draw the branch out of the rectangle. I do this in two strokes. The first is the underside of the branch which is done with a heavily loaded brush. 4. The second stroke is done with a clean, wet brush. 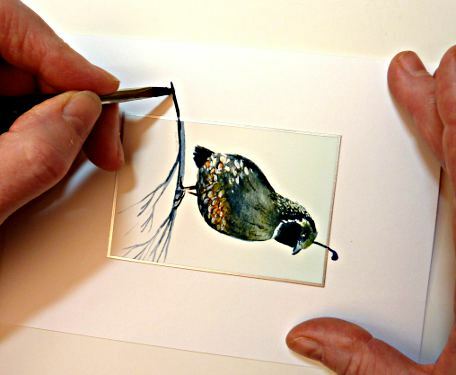 This picks up some of the heavy pigment already on the paper but dilutes it to create a lighter shade and give the branch a three dimensional look.